Oakville's Trusted General Contractor for Over 20 Years! We are a Full Service Design and Build. Focused on completing all aspects of the Interior General Contracting. We have the depth and experience to handle the complete design and build the addition and custom home. Our experience, approach to quality control, interior design and construction management are some of the reasons our clients come to us repeatedly. Our clientele range from discerning home owners to design firms looking to provide impeccable construction services to their own clients. Our philosophy is a simple one; produce detailed excellence and deliver it in the most respectful manner. We manage the entire project, from the design, budget and implementation, coordinating every sub trade until project completion. 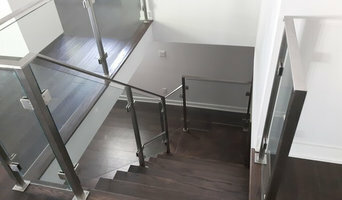 When you partner with Glen Abbey Contractors, you receive impeccable attention to detail and premium service to turn your dreams into reality. 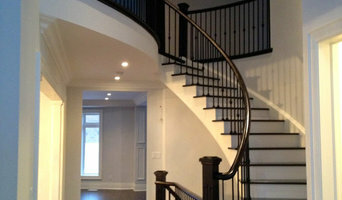 Oakville's Full Service General Contracting Firm - 2X Best of Houzz! Ideal Home Design Inc. is a family owned and operated, fully-equipped designer / retail studio and construction company, providing services for both small and full scale residential as well as commercial projects throughout the West End GTA areas. From the initial contact at our studio, we are here to help you discover and develop your own unique style and authentic point of view that will give you a sense of adventure and redefine your place, to distinguish it from others. We know that great style is not dependent on square footage, rather aesthetic vision and a good design without boundaries. For our firm, the quality of a job well done is never an accident. It is always the result of high intentions, sincere effort, intelligent direction, and skillful execution. Our finished projects are masterpieces of wise choices between many alternatives. Urbanest Construction is a design-build company with over 10 years of experience in commercial, institutional, industrial and residential construction. With a focus on building trust with clients combined with a vast knowledge of existing and new construction materials, practices, trends, and designs, Urbanest Construction strives to bring a personal touch and extreme attention to detail on each and every project. To separate ourselves from the pack, Urbanest Construction takes a turnkey approach to all projects; large or small. Handing back your property completed on time, on budget and live in ready is our goal. The attention is in the details, and through comprehensive site meetings and design consultations, we are able to ensure that our clients best interests come first. Wish List Home Improvements, Inc. 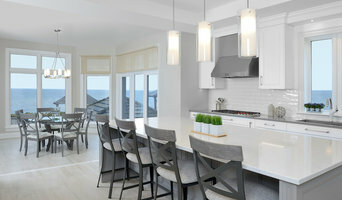 Wish Krajewski is a licensed, fully insured home renovation contractor working in the Oakville, Burlington, Hamilton area. 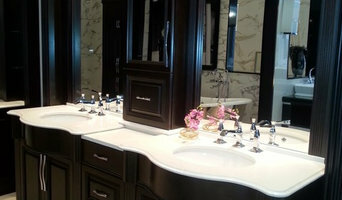 From basement renovations to custom kitchen designs, if you can dream it Wish can build it. Wish has had a passion for building with wood his whole life. It is this passion that drives him to always stay on top of all building trends, styles and new materials to consistently bring his clients cutting-edge ideas and designs. Although he is always very hands-on, Wish has a team of skilled tradesmen to rely on for larger jobs when needed. A Burlington resident for over 15 years, Wish is well known in the community.